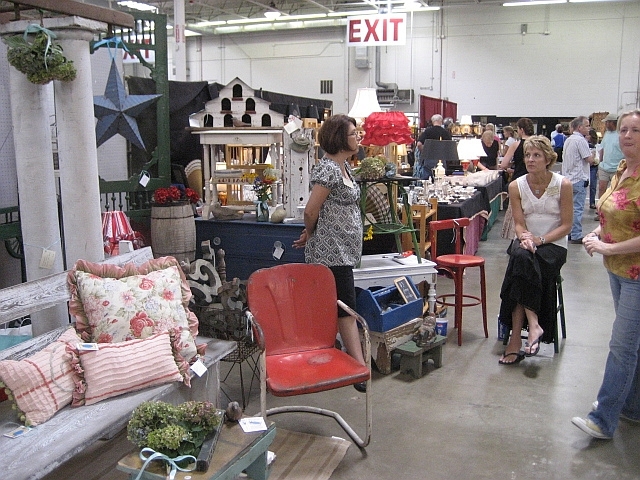 It was a GREAT Big Flea!! The weather on the east coast this weekend is just glorious! Temperature in the 80’s, sunny and big fluffly clouds. 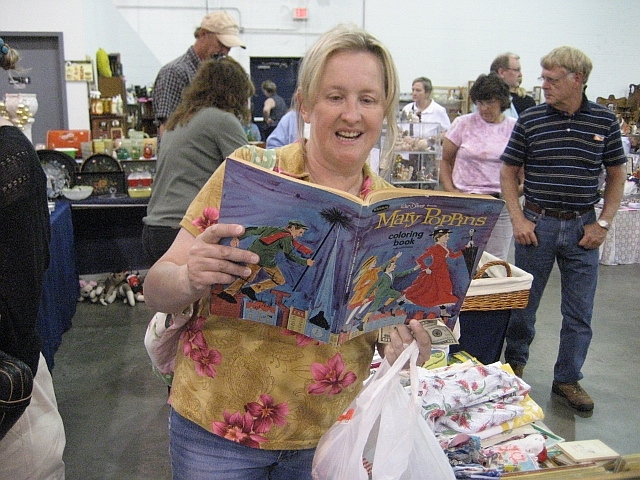 I drove up to the Wash, DC suburb of Falls Church yesterday to spend the evening with my favorite family, the Fedorko’s and early this morning, BFF Beth and I set out to the Big Flea at the Expo Center in Chantilly, VA outside of DC. 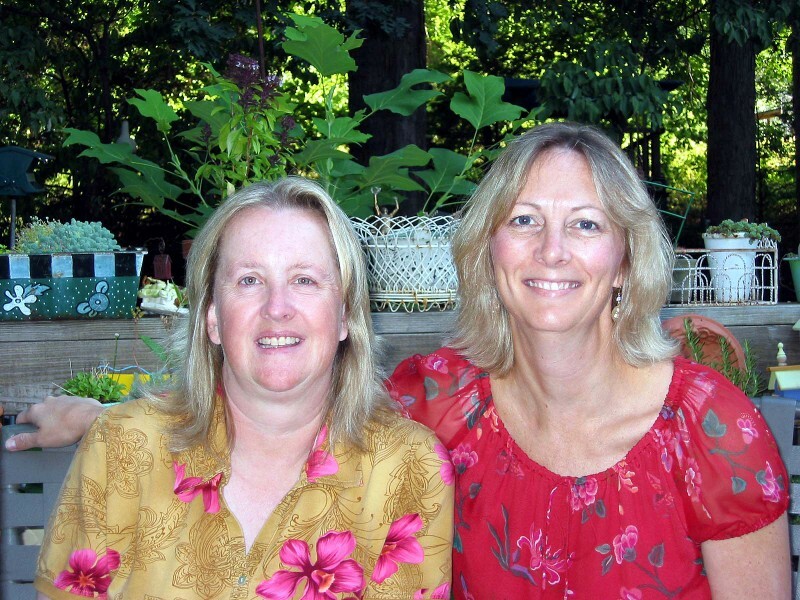 BFF and I were noticing that we haven’t had our picture taken together in many, many years so here is a hot of the presses shot taken on BFF’s deck early this AM before we set out to the Big Flea. Once there we ran into some old friends, many of the dealers know us from our many visits before! Here is Beth with one of our FAVS, Victoria Prame from York, PA. Victoria always has tons of cool stuff and her booth is so inviting, it just draws you in! 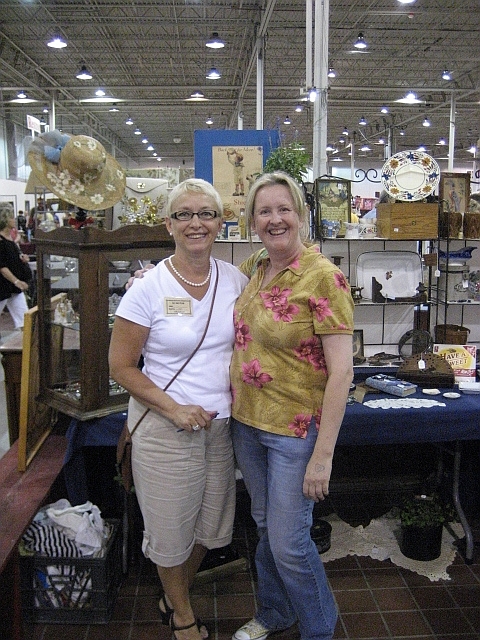 Another of our FAVS is Ann & Linda, The Cottage Gals. 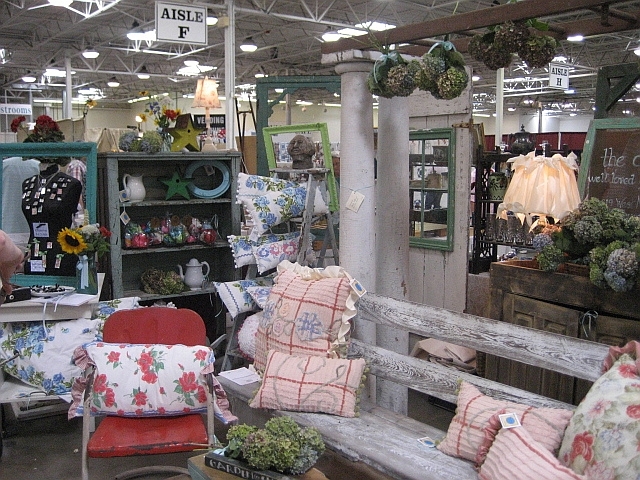 They are often at the Big Flea and they always have a gorgeous booth with tons of vintage cottage goodies!! Their shop is in Leesburg, VA. BFF and I are hoping to have a trunk show at their fabulous shop in October this year. Stay tuned!! BFF and I found lots of cool goodies for our crafting stashes. Look! BFF found a copy of her all time favorite coloring book, this was the same one she had (and still owns!) as a youngster. Tomorrow I will take some pictures of all my wonderful finds and BFF Beth will too and we will both post them on our blogs. Have a great weekend!!! What a fabulous Big Flea. I could have spent all day and all my money there, quite happily!!! Don’t know how I found you, but I’ll find you again another day!